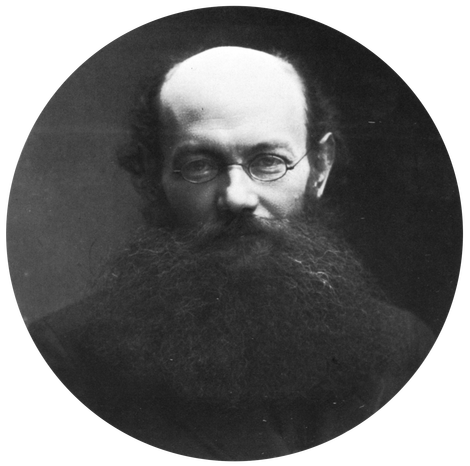 The following excerpts are taken from an article by Kropotkin, “The Action of the Masses and the Individual,” in which he responds to a letter regarding increased strike activity among the workers in conjunction with May Day demonstrations. Originally published by La Révolte, 24th of May 1890. Re-published by Robert Graham. Every strike of the last two years, in Belgium, in England, in Moravia , etc., etc., are due to this spontaneous spreading of the idea. If ever there was a movement anarchist by its essence and a propaganda essentially anarchist in its processes, it is this one. Because there is no secret – it is a tacit agreement that becomes established. Our comrades from Geneva are mistaken to attribute the 1st May to the Paris Congress. It was made absolutely outside of the Congress, against the will of the social-democrats, against the will of trade-union committees and despite indifference of socialists, anarchists and authoritarians. It is precisely for that reason that we attach significance to it. In a Congress where Liebknecht  enjoyed royal rights, an unknown coming from Australia makes the proposal. The flabbergasted chiefs do not dare to renounce it, because the worker delegates – the unknowns – acclaim it unanimously. Then, the proposal is forgotten. The watchword of the socialist press is to not breathe a word of it. Socialists and anarchists treat it as a joke. Democrats oppose it. And meanwhile the workers spread the call [for a general strike] amongst each other: see you on the 1st of May. And fifteen days before the 1st of May the trade unionist, socialist and democrat leaders learn with dread that the working people will be on the street on that day. So they put on a brave face at this bad news, then they try to curb the demonstration and they end up joining it. But still, they expect a demonstration of no significance – and there is the whole of working London coming out of its hovels, a third of Vienna going to the Prater , the whole of Hamburg on its feet, and a general uprising of miners starts in Moravia, in the Basque provinces, etc. As for the arrests of anarchists – it is time to anticipate them in advance. Every time there is agitation in the masses, wherever it is from, the government will arrest anarchists – if they do not take precautions. That will take place before the revolution, during the revolution and after the revolution. We need only to remember Marat  and so many others, less known, who were forced to live in cellars right in the middle of 1793, while aristocrats were guillotined by the dozens. Anarchists will be arrested because – sometimes wrongly, but most often rightly – governments will tell themselves this: “When the people are in the street and that individual initiative is lacking amongst these masses marching to storm society, it is from the anarchists that the initiative of a movement will be able to come, not from the legalists”.